"Daffodil Joy" Solids are the colour combinations of solid coloured background papers to coordinate with this digital kit. The carefully stitched borders on these background papers adds a little more interest so they can be great stand alone papers as well! 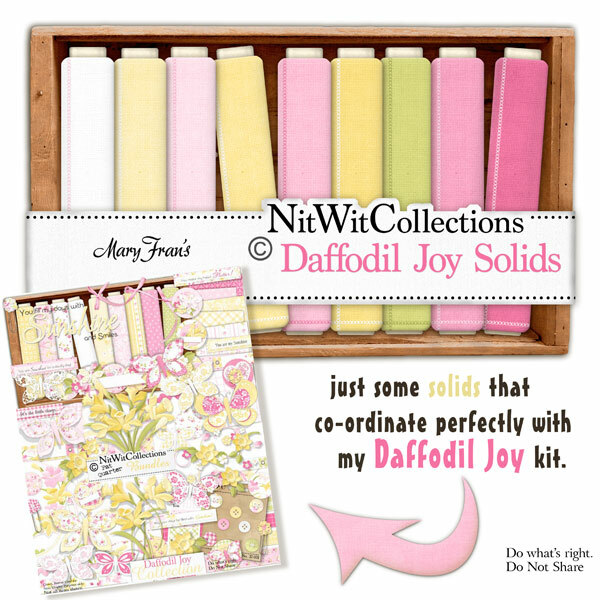 These solid digital papers are NOT included in the FQB "Daffodil Joy" Collection so please don't miss out! 10 Solid digital background papers with a stitched border pattern and fabric-like texture that coordinate with my "Daffodil Joy" Collection.